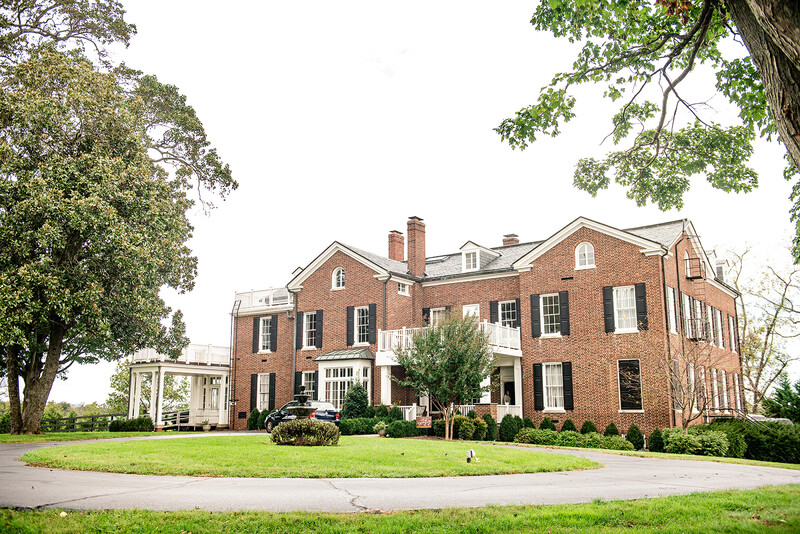 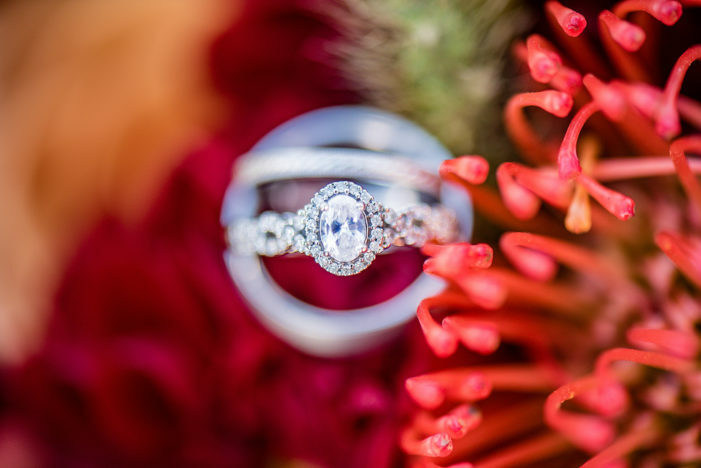 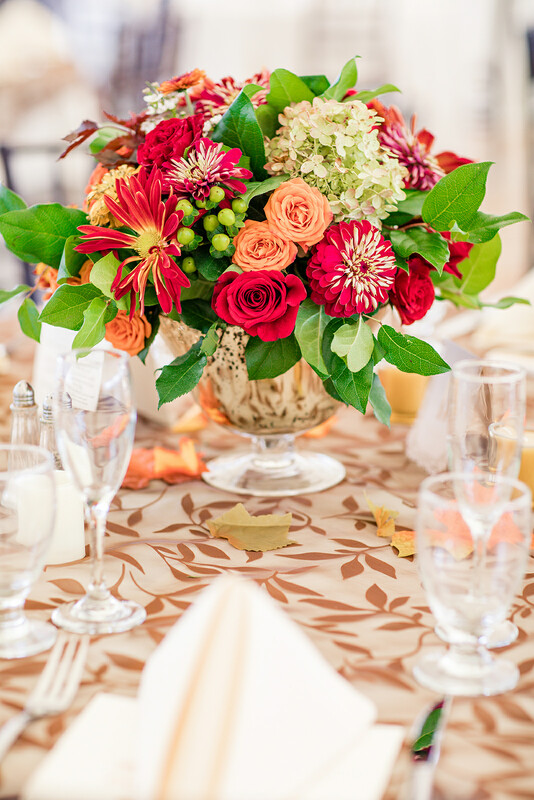 Today’s colorful wedding celebration at the beautiful Inn at Vint Hill offers so much pretty. 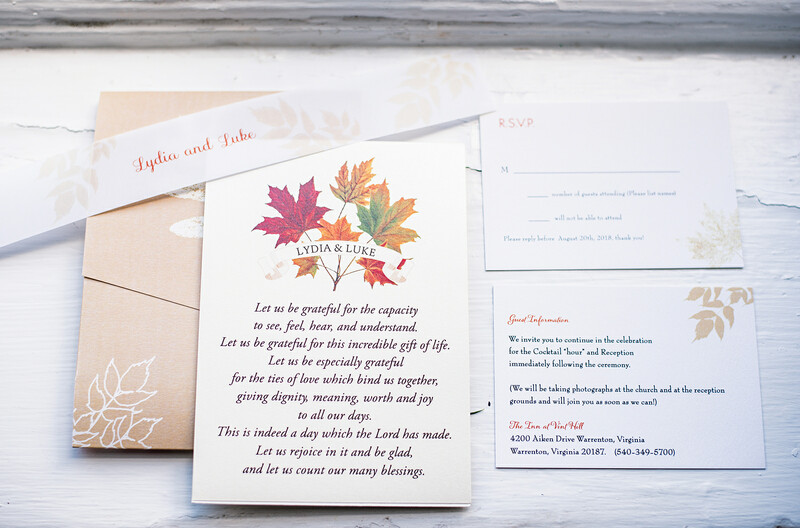 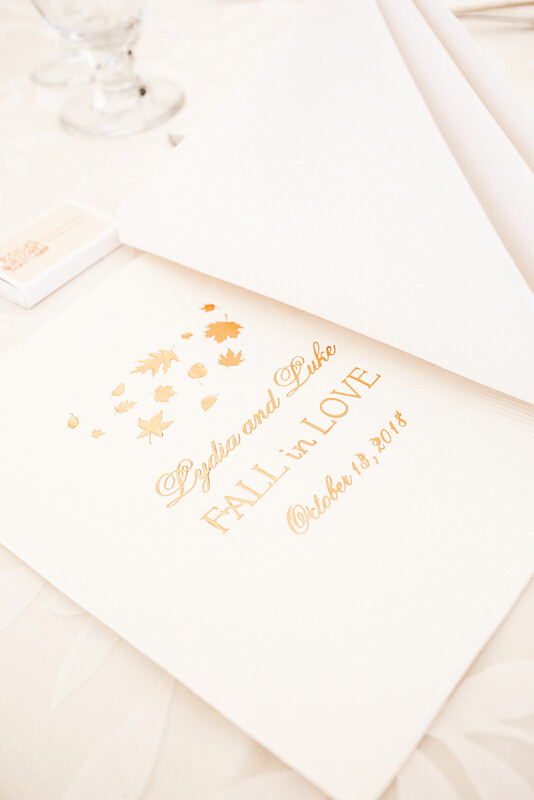 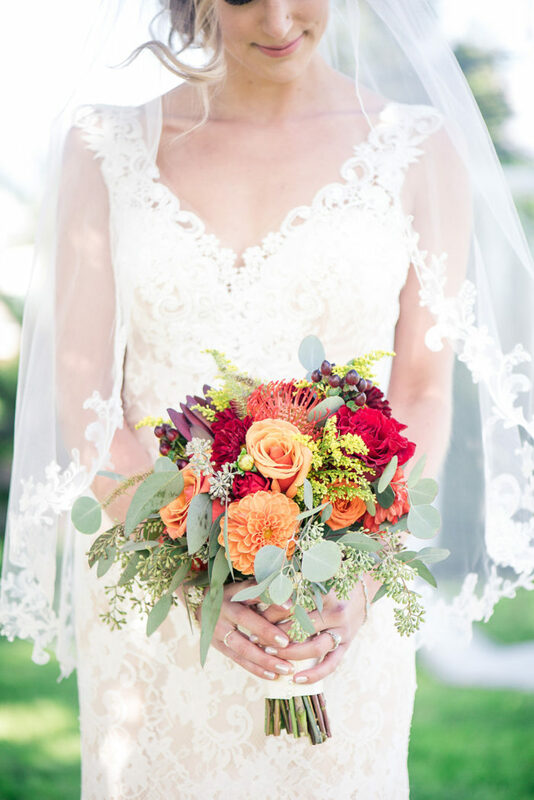 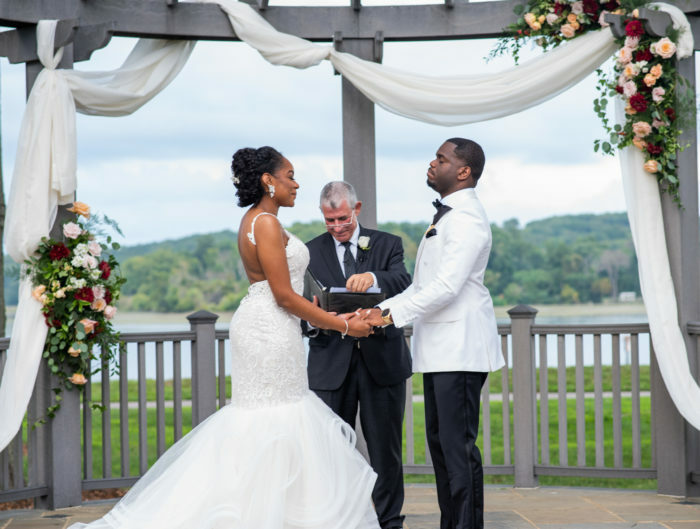 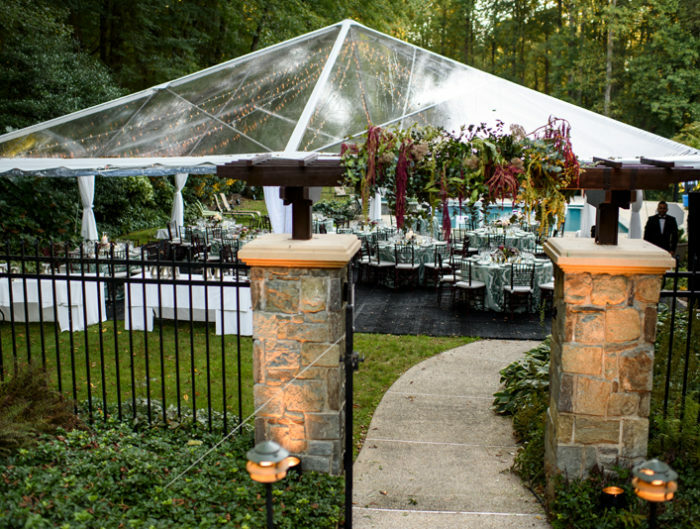 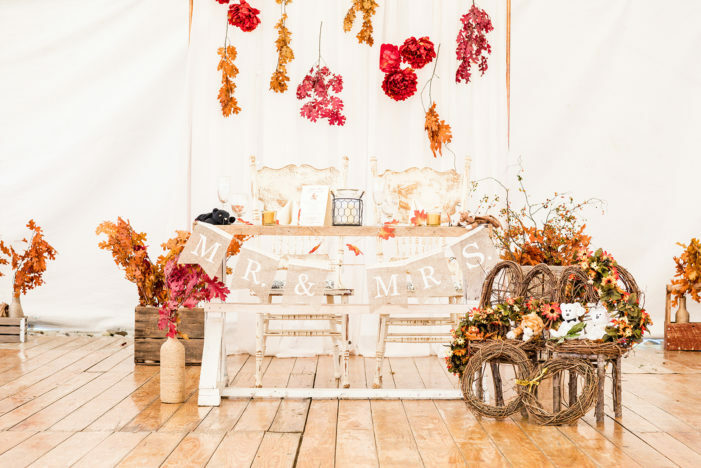 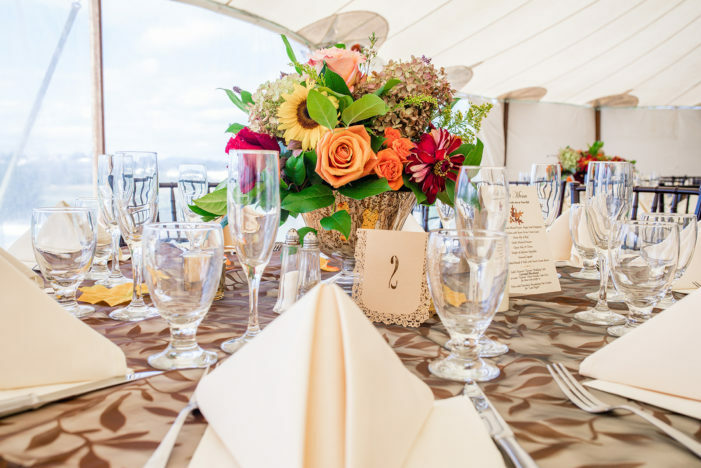 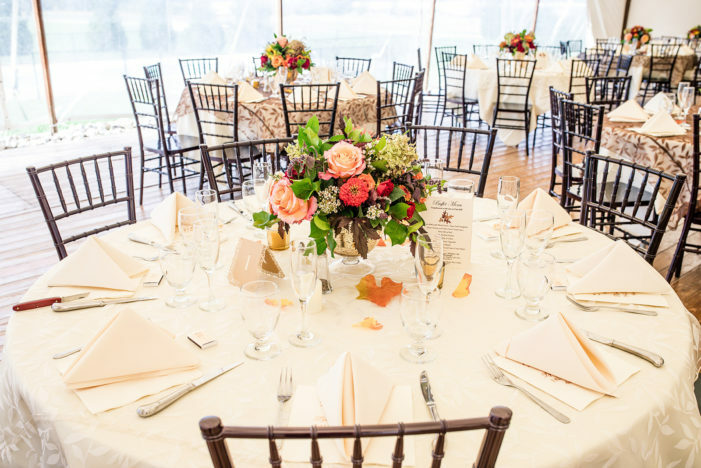 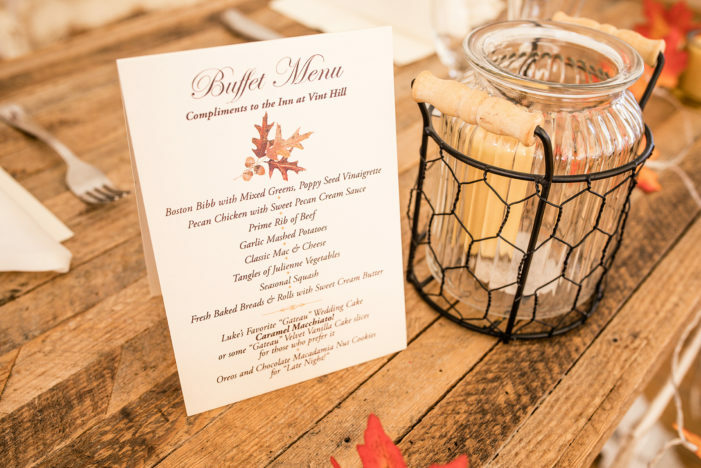 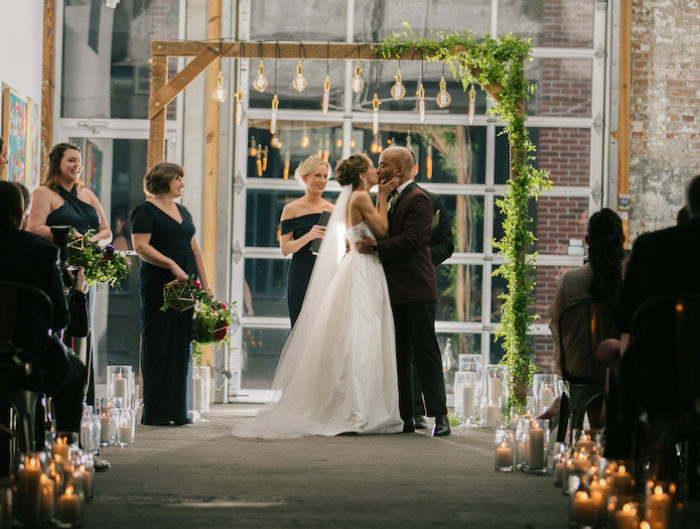 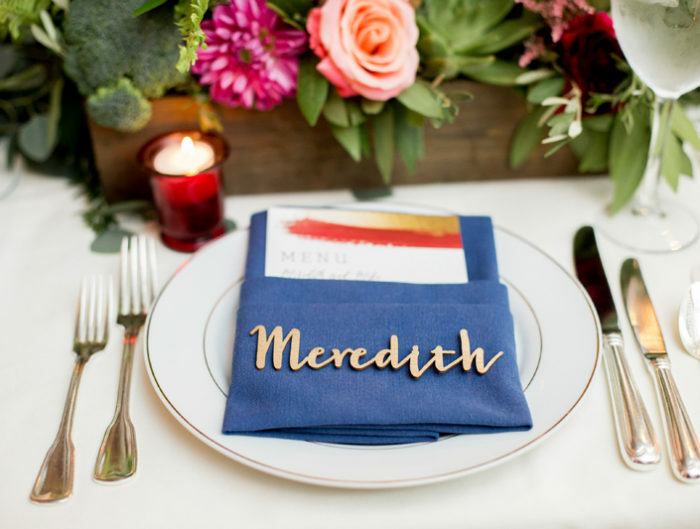 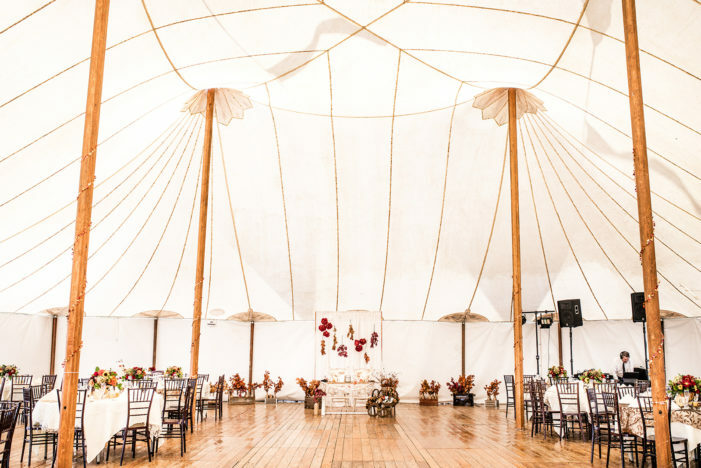 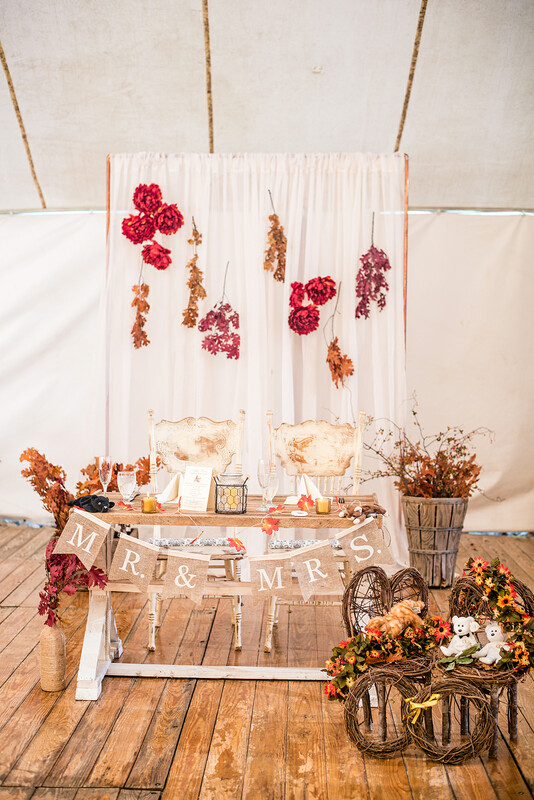 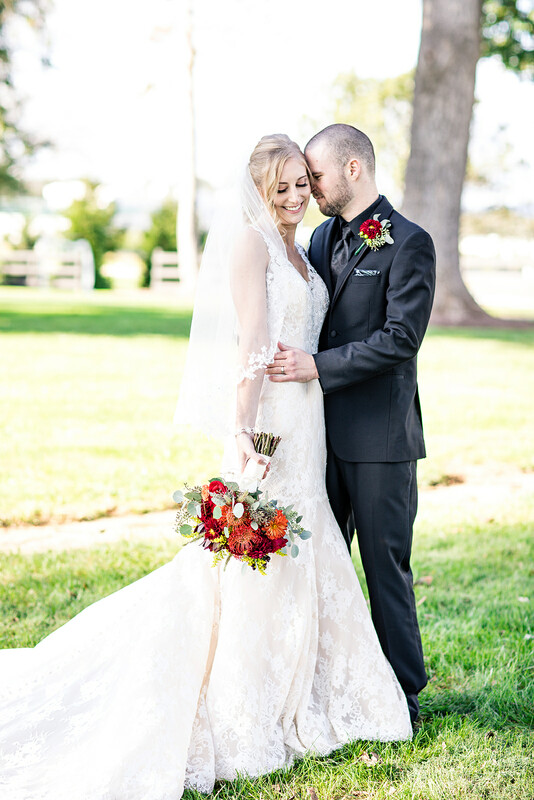 With tons of fall wedding colors and details, Lydia and Luke created a stunning Autumn tented affair. 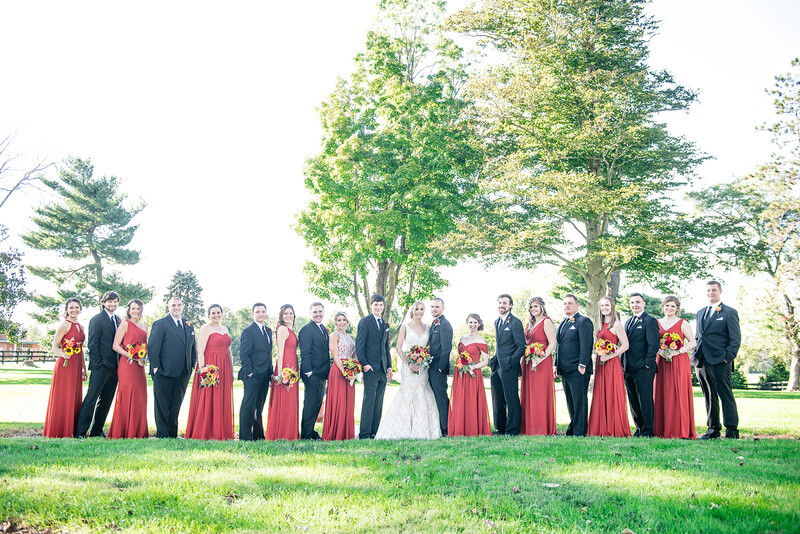 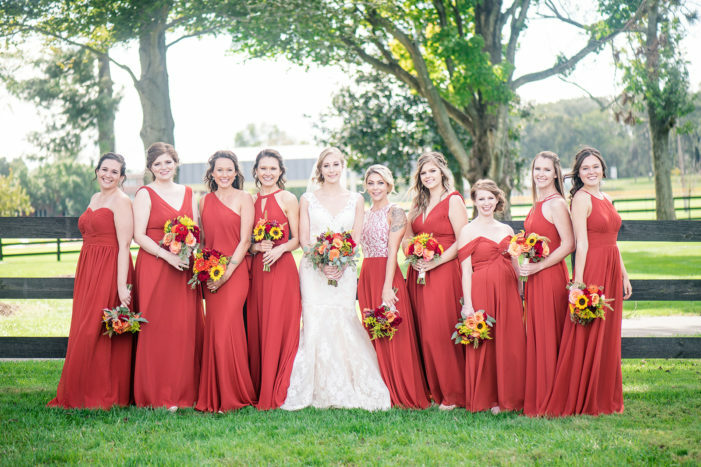 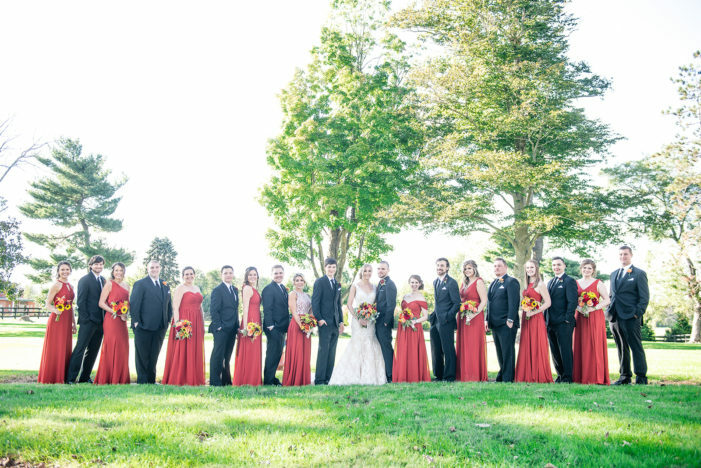 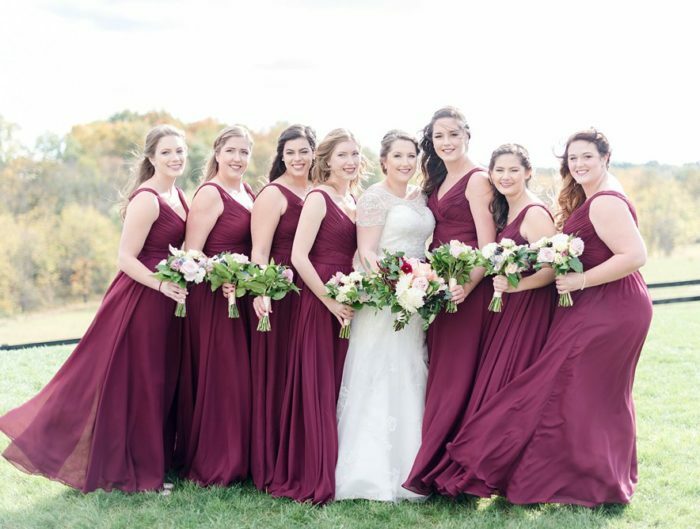 The bride’s elegant look included a wedding dress with a train you could photograph for days, and her gals were dressed in a beautiful red floor length gowns. 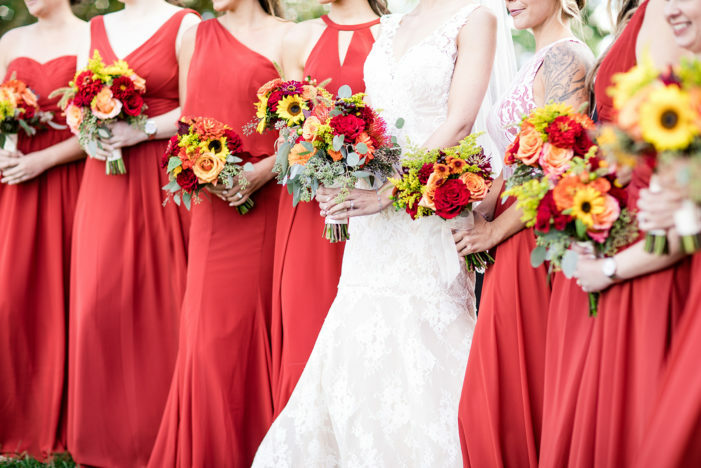 This red was woven throughout the day and paired with oranges and yellow seasonal florals in addition to an abundance of fall leaves. 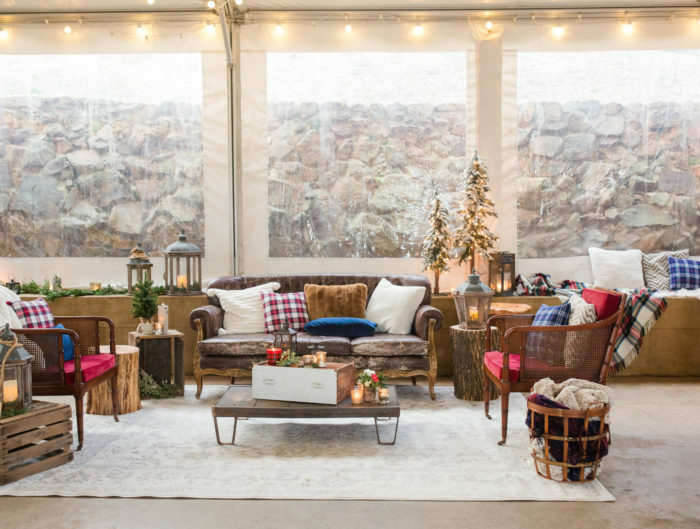 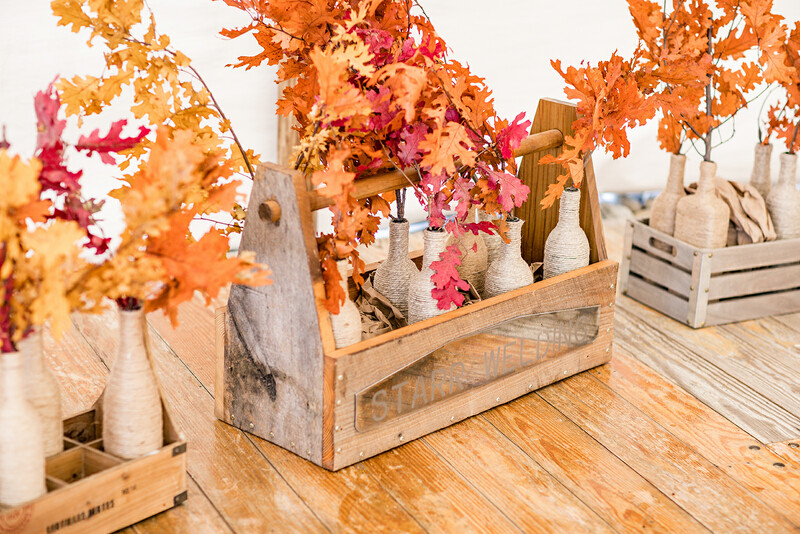 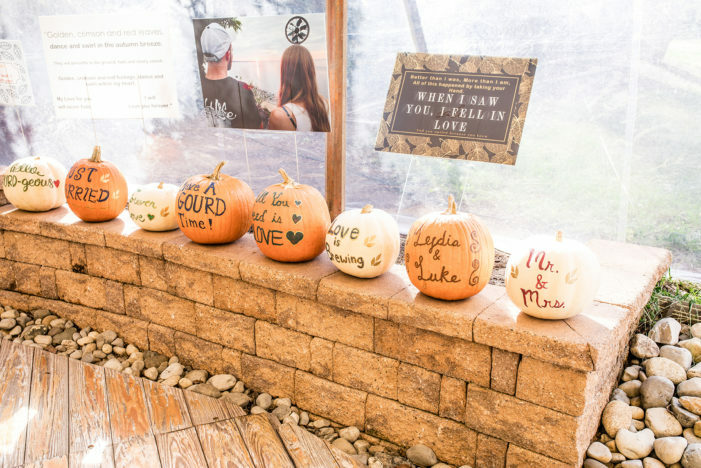 Under the tent, the reception space was dotted with rustic wedding decor including pumpkins and burlap accents. 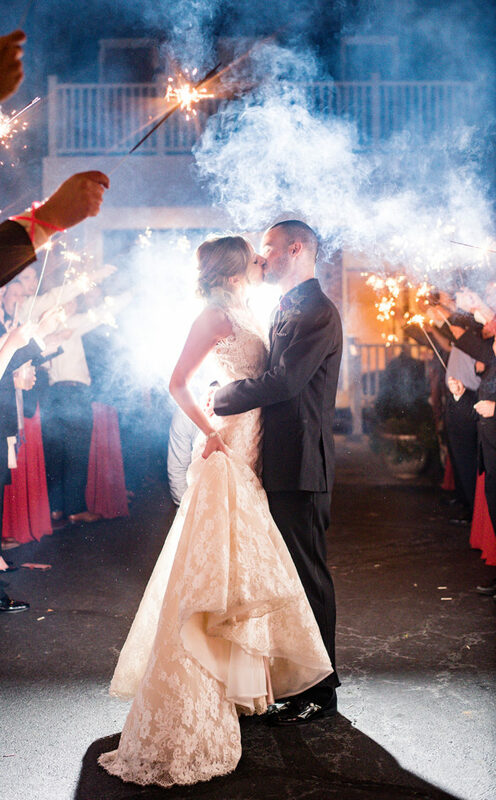 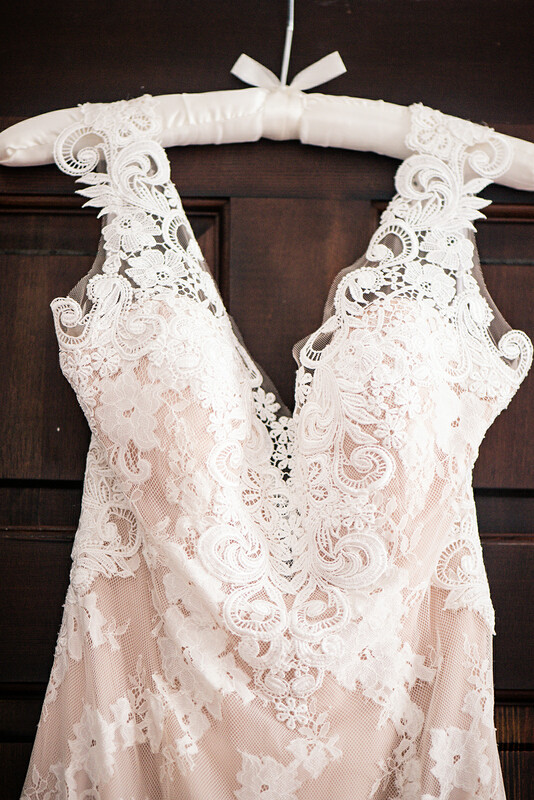 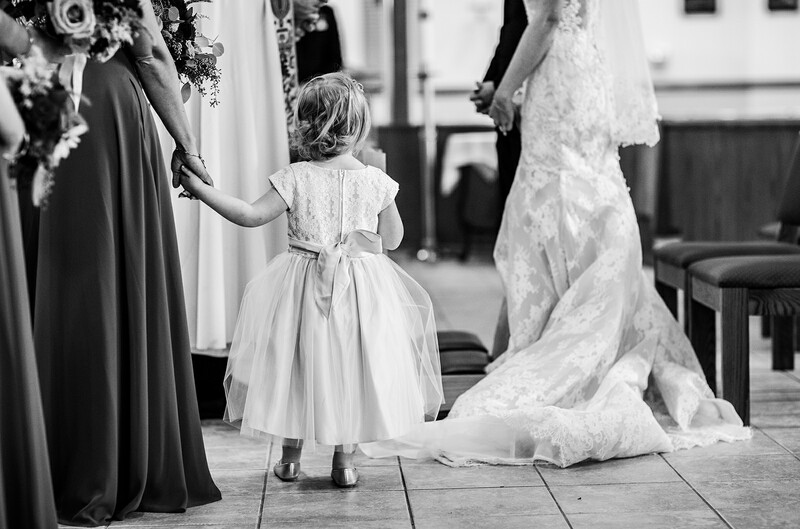 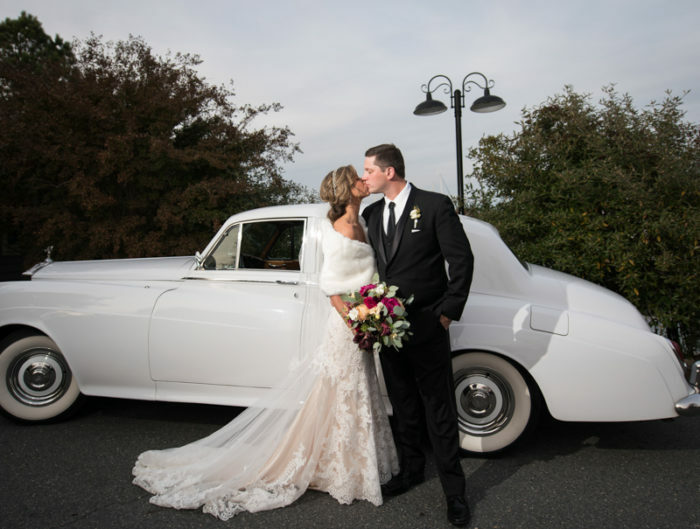 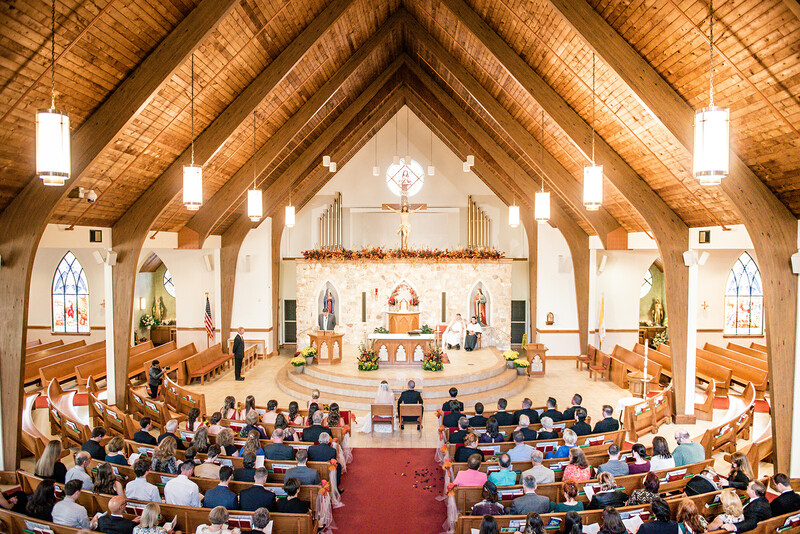 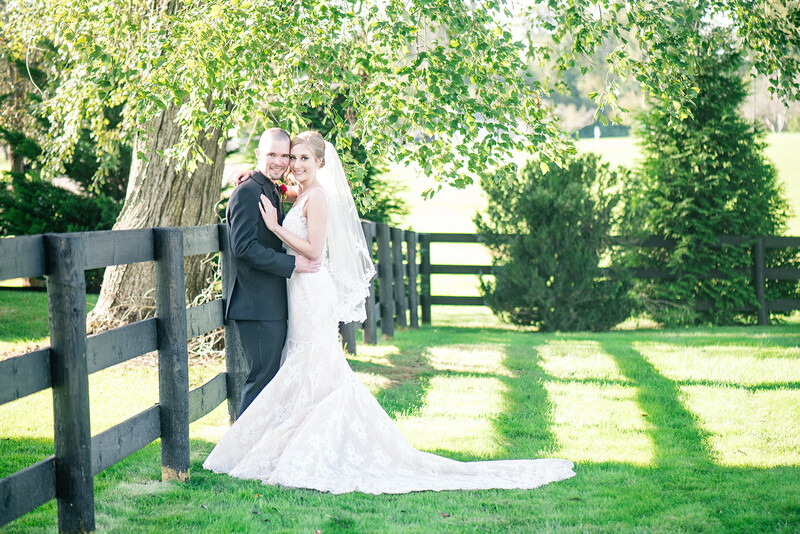 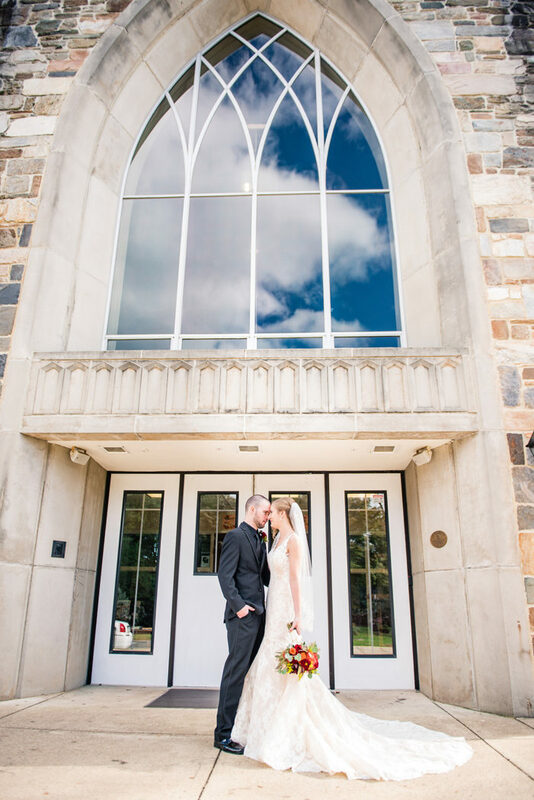 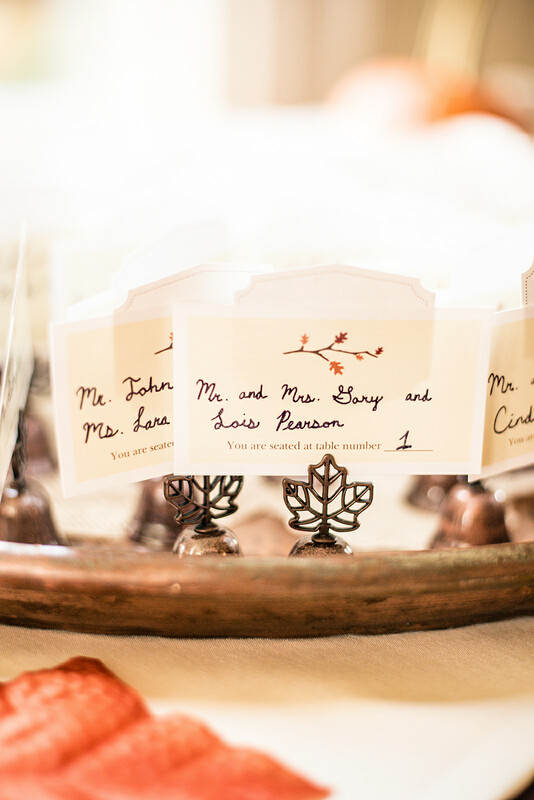 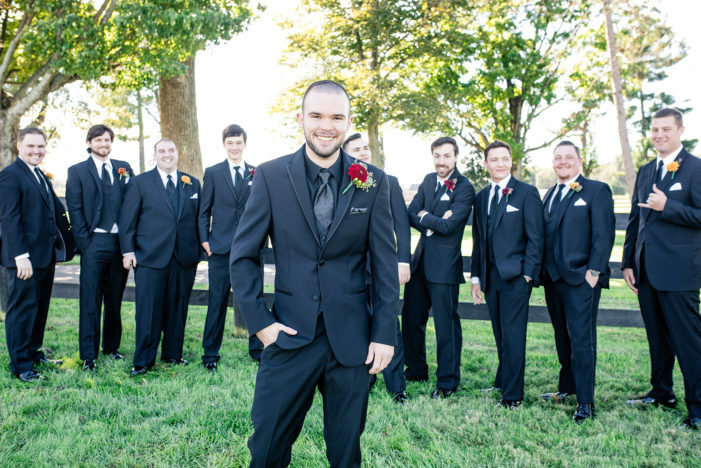 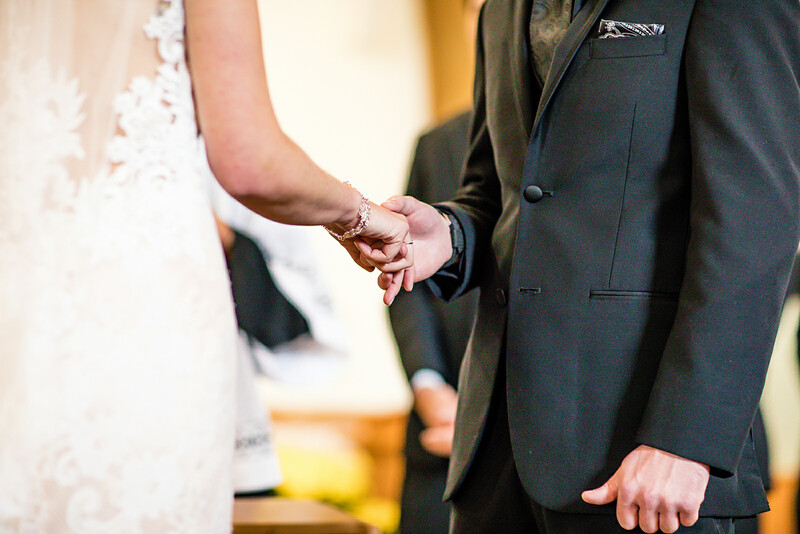 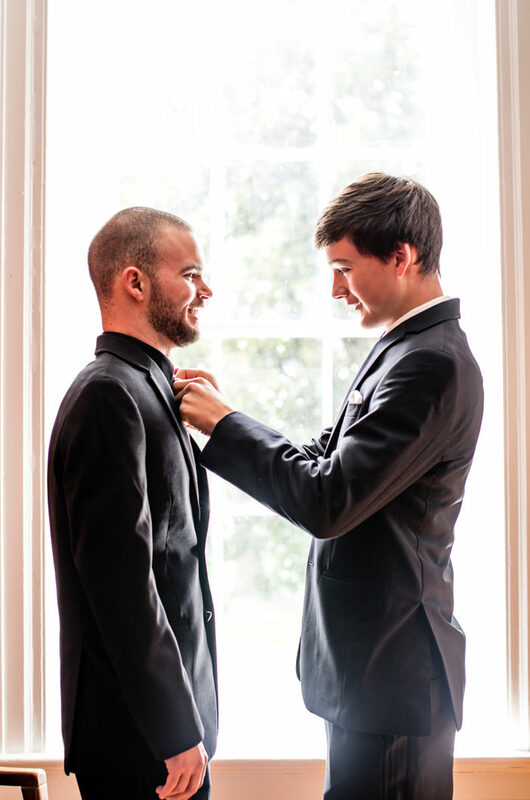 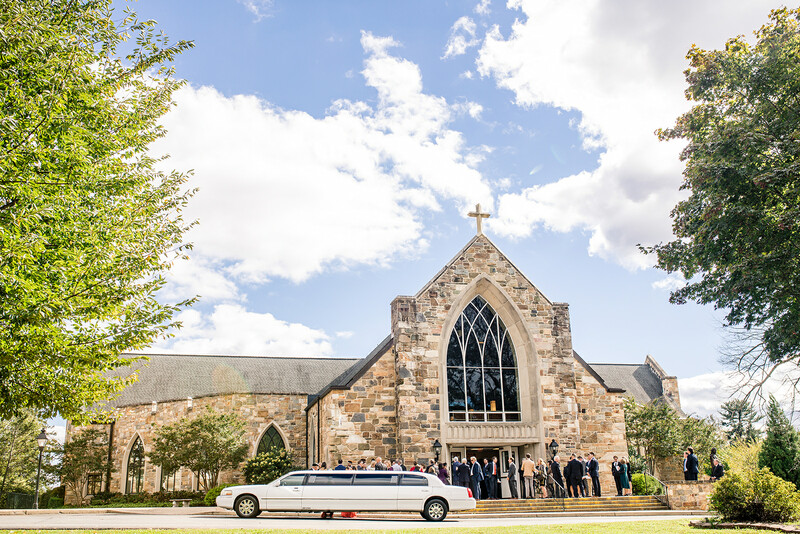 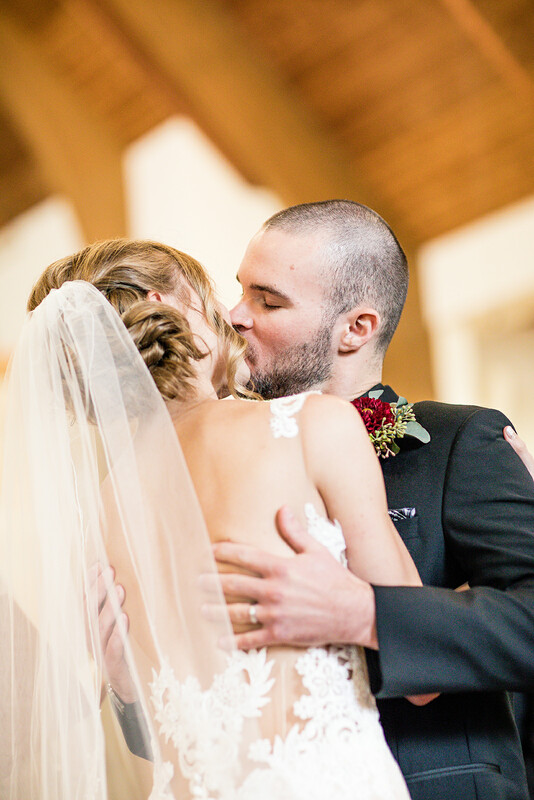 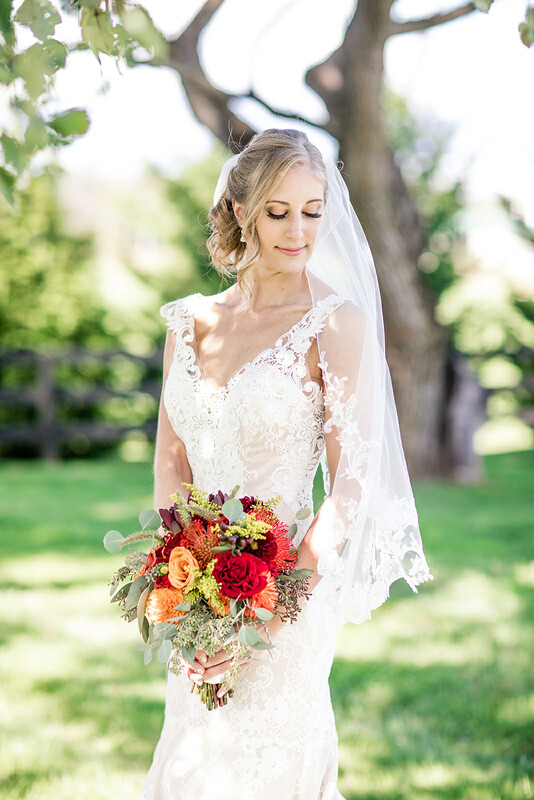 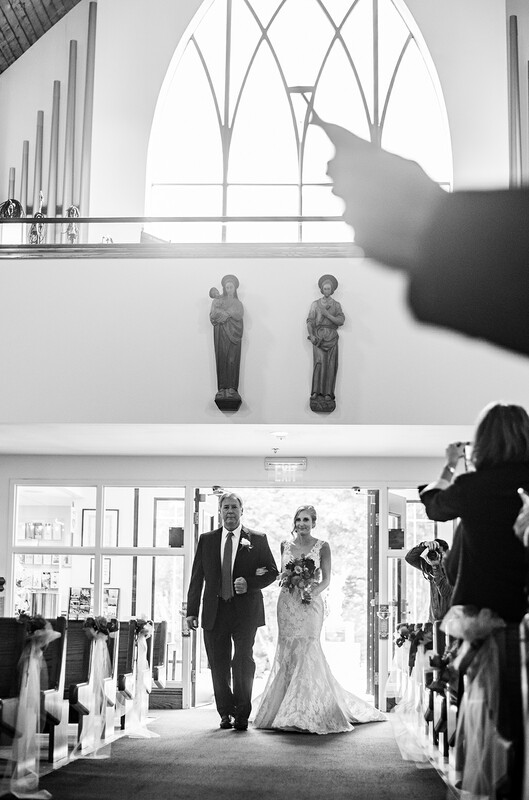 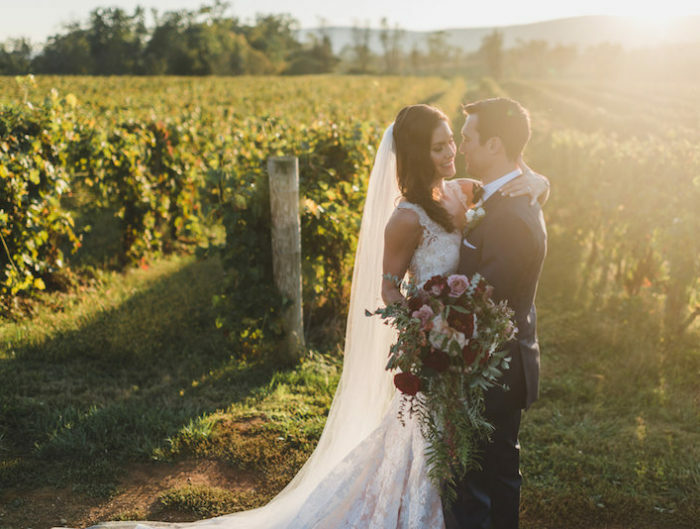 Thank you to Brooke Danielle Photography for sharing this rustic Virginia wedding with us today!